Thanks to Jannat Bhullar who appointed me for this award. The Liebster Blog Award was designed in Germany. Liebster means lovable, in this case favorite blog. It can be assigned only to those who have less than 200 followers. Each person post 11 things about themselves. Answer the question that the tagger set for you. Create new 11 question for people who are tagged by you. Which is my favorite brand of shoes? I do not have a favorite one, but I love Nine West. How many times a day do you apply lipstick? I usually use lip gloss once in the morning and once after work. Who is my favorite designer? Elie Saab. When is the last I made nail art? Polish and enamels maybe once a week. I never did Nail art. What do I do when I have a bad hair day? I just tie my hair. Which one is my favorite Seven Wonder of the world? Hanging Gardens of Babylon. What is my makeup tips when I get ready in ten minutes? I don't usually use too much make up so it's easy for me to get ready very quickly. I apply pencil, mascara and lip gloss. What do I carry in my bag? Some makeup (lip gloss, mascara and pencil), sunglasses, wallet, keys, cellphone, notebook, a pen and a camera. Sometimes I also carry my starbucks travel mug. When did I apply make up for the first time? I don't remember but I think it was in high school. Which is the fashion trend that describes you? It's a really good question because all the time I ask myself the same question. I buy what I like and dress however I feel like. But I can say that I like to wear nice clothes and look presentable all the time. The last fashion trend which you don't understand? High waist jeans. Three years ago I left Argentina. I can speak Spanish, English, Hebrew. And I also understand Portuguese. I started to ride bicycles one year and a half ago. I used to be a gymnast in Argentina. I participated in competitions and practiced for 10 years. Budapest is my favorite city. I started my first blog in 2008. What is your favorite city in the world? Why? When did you open your blog? What are your hair tips? Which brands can we find in your closet? Where do you usually go for shopping? Alarsup by Lara. She is a new blogger. Aldana. She has a cute blog. The S. Doses. I love her style. Vuelta por el Universo. This blog always has photos that inspires me. Ojalá. I really like her outfits and her style. Le blog Beyi Puig. She is also a new blogger. Rock the Streets. I love her because she has a very personal style. Don't go to sleep. She looks very cool. Her blog has outfit, shopping, instagram. Sol Jasminoy. 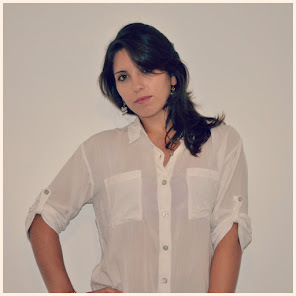 One of the cutest blogs in Argentina. Beautiful photos. Is Luci. A combination of art, music, movies and fashion. My Garbage Style. I thinks she is very beautiful and has an interesting blog. Gracias por lo que escribiste! ay gracias! ♥ me encantan estas cosas, ya me habían nominado para otro y realmente me olvidé. Voy a hacerlo ahora y lo guardaré para dentro de algunos días! Me gustan las preguntas que hiciste, y también las respuestas! Awww, me acabo de morir de amor! Un post muy divertido, nos encantan este tipo de juegos!!! No las he agregado pero están más que invitadas a unirse. A mi me encanta su blog y el estilo tan chic de ustedes! Aunque no entiendo porque está todo en inglés, gracias por nominarme! me demoré pero lo voy a hacer!